Britain is a nation of beer lovers so we’ve rounded up the best beer festivals and boutique breweries to get your taste buds glowing and your heads spinning! Even though it’s been around since the 1970s its the past decade that has really seen Britain’s Campaign for Real Ale (CAMRA) take off. As the beer drinking public’s taste buds have refined there’s been a resurgence of cask ales, with more and more boutique breweries also starting up to provide hand crafted, tasty beers in casks and bottles. At the same time, beer festivals have found a regular spot on pubs, breweries, towns and cities calendars with the CAMRA-run ones guaranteeing that visitors will be quaffing the finest quality beers from around the nation. The biggest of these is the Great British Beer Festival (GBBF), which will next be taking place in London from 6-10 August 2019. Billed as the “biggest pub in the world” it has around 450 beers from British breweries, as well as approximately 200 foreign tipples from great beer making countries such as Belgium, Germany and the USA. Every year the festival is staffed by around 1000 unpaid beer-loving volunteers. 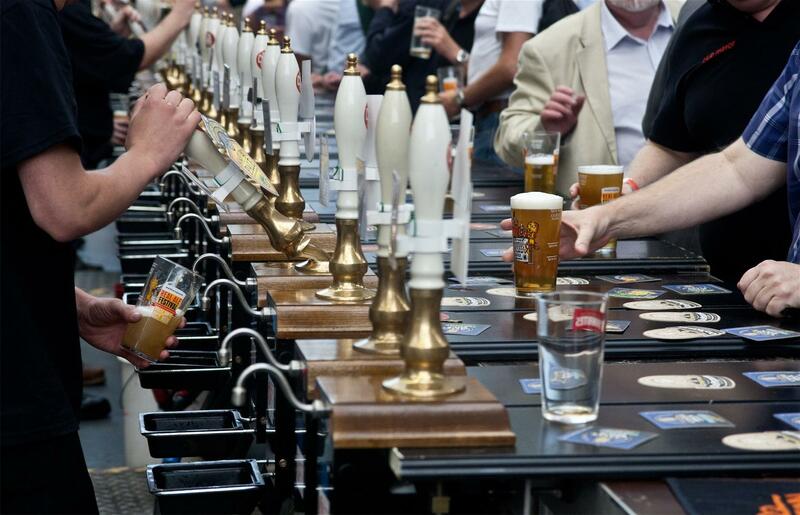 CAMRA also runs a winter version, National Winter Ales Festival,to showcase the best winter ales, such as stouts and porters, as they are often not available during the summer when the GBBF takes place. There’s also hundreds of smaller festivals that run all year round. After starting out with a homebrew shop and being asked to create an ale for a customer from an old family recipe, the Williams brothers now have their own brewery in Scotland and are brewing almost 30 boutique beers. Cornwall-based family-owned brewery with a range of just five real ales that give a nod to the county’s Celtic heritage. Keltek adheres to the age old traditions of brewing by hand with care and craftsmanship using the finest whole hop flowers, British malts and hand-pitched yeast. In a picturesque spot in Cumbria this is one of the most remote breweries in the UK. It supplies its cask ales to pubs across the north of England and has a tap-house in Dent, The George & Dragon Hotel. All the water used in the beers comes from the brewery’s own spring up on the fellside. Since it started in 2005, Lancaster brewery has developed a range of boutique and seasonal beers it’s main award-winning beer range being Lancaster Amber, Lancaster Blonde, Lancaster Black and Lancaster Red. It’s now also runs four pubs and hotels in the North West. A microbrewery run by a husband wife team that has a range of award-winning ales, some of which it ships to its customers by canal boat! It’s got a sustainability ethos that guides it too and the majority the beers’ ingredients are sourced locally with the hops come from the only remaining hop garden in old Berkshire, and the spent grains being taken by a local farmer for animal feed. So get tasting Britain’s great boutique beers! What’s your favourite real ale tipple?